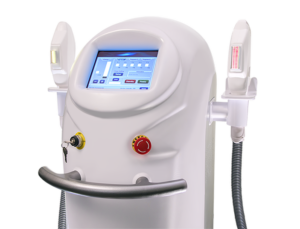 Intense Pulsed Light (IPL) is a technology that combines a power source with a contact cooling system for comfort. The IPL Hair Removal Procedure Is Extremely Safe and Effective. A popular choice for skin rejuvenation. Not only is it indicated for collagen remodelling but also to alleviate both vascular and pigmented issues, restoring the skin to a more youthful appearance. IPL skin rejuvenation procedures do not require any anesthetic and sometimes offer near-instant results. The painless procedure also does not require any downtime, which means clients can resume regular activities shortly after the treatment. IPL treatments can be used to correct and refine nearly all skin types, and It has proven to be particularly effective for treating age spots, freckles, acne and rosacea.